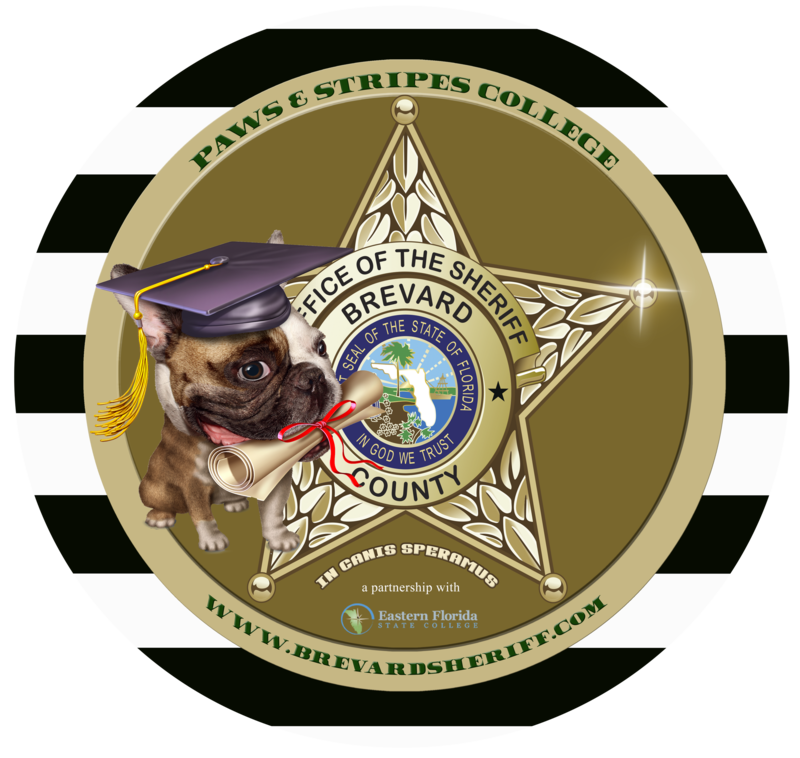 In partnership with Eastern Florida State College’s (EFSC) Veterinarian Technician Program, Sheriff Wayne Ivey is pleased to announce the next generation of the Paws & Stripes® program; “The Paws and Stripes College”. The basic tenants of the original program remain in place while serving as the foundation for the newly formed “College”. Selected canine graduates of the original 8 week course will now move into the advanced training program to serve our community as PTSD dogs, therapy dogs, child victim advocate dogs, all of which will be given away at no cost! Additionally, we plan to train dogs that can detect termites and other types of insects that could be sold commercially to assist in financially supporting the new initiative. EFSC’s Veterinarian’s Program will be an integral partner by providing basic medical care to our canine students, while gaining invaluable “hands on training and experience” in their new chosen profession. 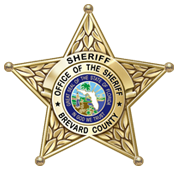 To accommodate this new and innovative program, the Sheriff’s Office was able to refurbish a building that was previously abandoned by the Department of Corrections when the Brevard County Work Camp was closed. The facility has been renovated into a world class training facility through the use of inmate welfare funds, inmate labor, and at little cost to the taxpayers of Brevard County. This program is a win/win/win initiative that frees up kennel space in the local Public and Private Animal Care Centers, provides dogs a forever home, provides an incredible resource to those in need, helps increase our Live Release Rate, provides college students a strong practical application for their area of study, and teaches inmates a job skill that can be utilized to decrease the recidivism rate of incarceration. The Paws & Stripes® program has been in existence since September of 2006, and is currently a successful partnership between the Brevard County Sheriff’s Office, Space Coast Therapy Dogs, and Eastern Florida State College Vet Tech Program. This program pairs carefully selected and trained Jail inmates with shelter dogs that are at a significant risk of being euthanized. To date, over 300 dogs have graduated and been saved through this amazing program. During this eight week course, inmates train their canine partners to be responsive to both voice commands and hand signals. The dogs are housebroken, and learn all basic obedience skills to include, heel, sit, down, stay, and come. The dogs are then matched to a new potential owners who are required to complete an application and eight hours of training held at the Paws and Stripes College prior to adoption. Potential new owners must be a Veteran/First Responder with a disability, a family that has a child with a disability, or a citizen that has a need for a therapy/comfort dog. Click the link below to complete the online application. Please remember this entire service is provided at NO COST! If any other adopter wishes to have their new canine friend become a registered therapy dog our partner, Space Coast Therapy Dogs, can provide that service for a minimal cost. Staff at the Paws and Stripes College will gladly assist any adopter in making contact with Space Coast Therapy Dogs. 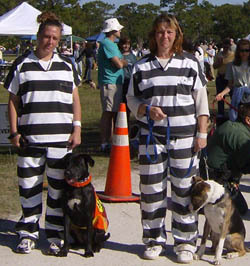 The inmates who participate in the Paws and Stripes program gain a sense of accomplishment. 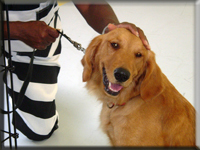 The inmates also have an opportunity to learn techniques in kennel management, dog handling/training, dog grooming, and veterinary assistant skills. 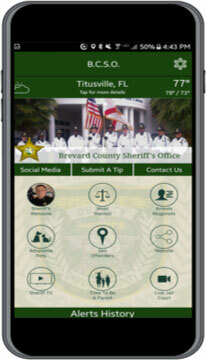 This in turn can be very useful in job placement upon the inmates release from the Brevard County Jail. 5100 West Eau Gallie Blvd. Brevard County Sheriff’s Office Charity, Inc.
*Please write “Pet Posse” on the memo line. Online Donations can be made by clicking on the Donate Button below.